Even your casual look is eye-catching with the Versus Versace™ Logo Short Sleeve Button Down. Polka dot pattern throughout with logo at the back. 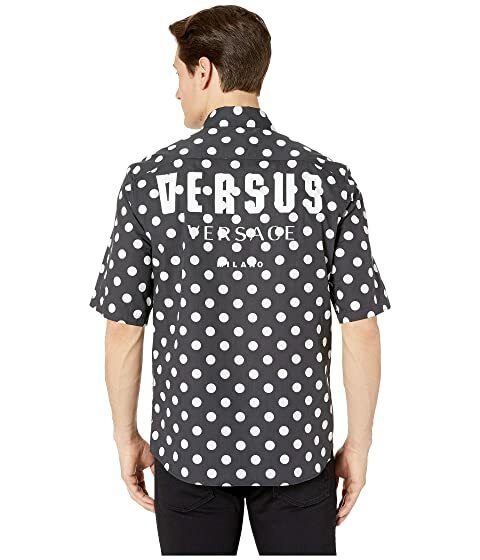 We can't currently find any similar items for the Logo Short Sleeve Button Down by Versus Versace. Sorry!